Canada Goose hunting is widespread within this private land Association. 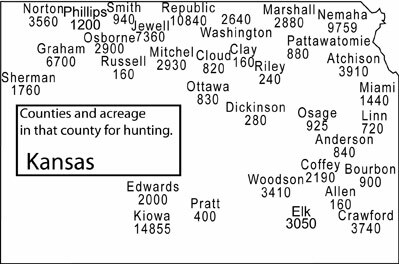 The geese work our land throughout Missouri, eastern Kansas and to a lesser extent in southern Iowa. Hunts are both regular and late season. 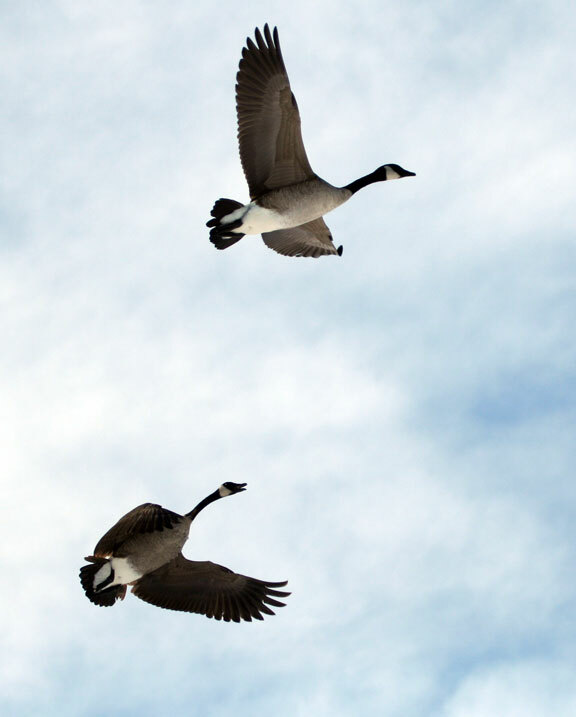 Geese are the most abundant species of game available to hunters in the Association. 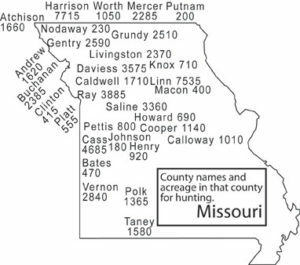 Most of the leases outside our Missouri managed wetlands receive less waterfowl hunter pressure. This provides quality alternative for the local or traveling hunter. The season begins with a 10 to 15 day early September season in Missouri. Iowa has a late September season. Kansas begins around Halloween. It closes in Iowa January 10, Missouri the end of January and Kansas mid-February. The season begins with a 10 to 15 day season late September in Missouri and Iowa. (last year they were almost the exact same dates). 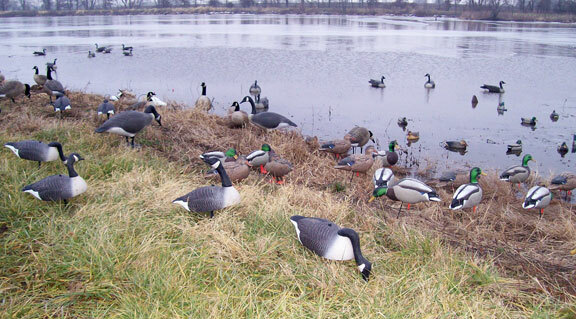 Our Canada Goose hunting is over managed wetlands, irrigation and watershed lakes, ponds, sloughs and hundreds of crop stubble and wheat fields ranging from 80 to 1000 acres. Over 80,000 acres alone are available to hunt within the Lower Missouri River Basin in Missouri alone. That land access is by our telephone reservation system without any need to locate the local landowner. Decoys are provided by the hunter. ATV’s are allowed, except for use on green wheat fields and extremely wet crop fields. Weather conditions vary year by year, but typically peak migration is when it gets good and cold, mid to late December on. Our most successful hunters take their private land lease maps and scout. They scout from their vehicle until they finding where the geese are working, make a reservation to hunt accordingly on a nearby Association lease. The telephone reservation will not deny any hunter the chance to hunt. The reservation insures no one is doubling up on the same field. 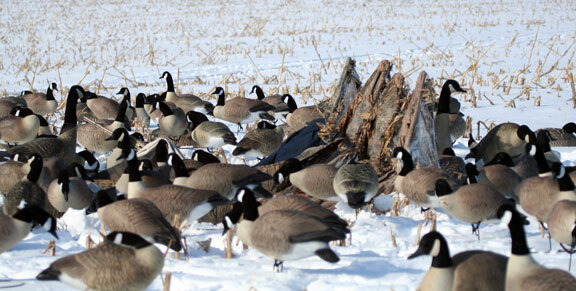 Layout blinds and field spreads have become very popular to the Midwest Canada goose hunter. They are comfortable, break the wind and conceal the hunter to the max used properly. The wind remains the most commented hunt effect. 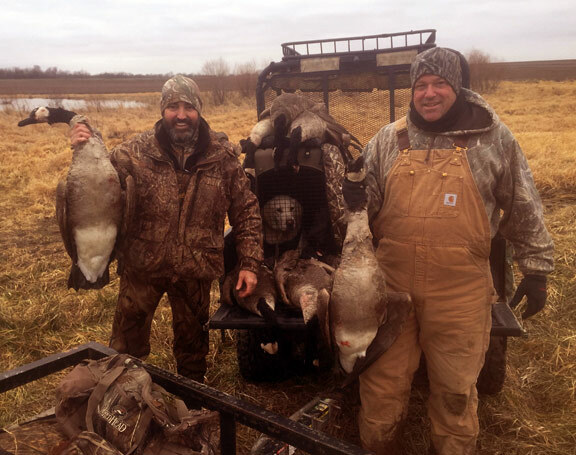 Association hunters are able to hunt unpressured geese on tens of thousands of acres of private land in Missouri, Kansas and Iowa. For Canada Goose hunting all may practice the art of decoying, calling and camouflage with the flexibility of being able to hunt anytime during the entire season. The potential for success is further enhanced by having large acreage to scout out where the geese are then hunt. Canada Goose hunting combination field and wet set example to further clarify to the traveling waterfowl hunter the differences in our local hunts. The hunter would need to bring his own portable blind. Regular season hunt for both ducks and geese on a hay field with a pond. A pure dry field set below. Not what we call them locally. A means to describe how much of our Canada Goose hunting is over harvested large-grain fields of corn and soybean. What the southern duck hunter calls field hunts are hunts over flooded crop fields. Our Missouri waterfowl hunts that are field hunts are either dry sets or combination wet/dry with the wet being ponds and lakes. Most of our pond and lake hunts have a variable band of shallow water along the shore line allowing chest wader access for decoy placement and retrieve. Birds dropped over deeper water and cripples would require a boat or dog for a faster retrieve than waiting for wind to move downed birds to shore. Late season hunt on a soybean field. No nearby water. 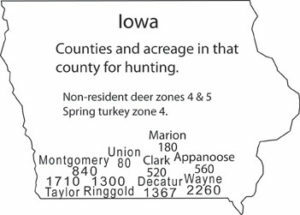 Another semantic issue to over come is that when we locally say “large grain fields” we do not mean that the field is large in terms of acreage. It is that the grain being grown is considered by the agricultural community to be a large sized gain kernel. Corn and soybean. This is contrasted locally to the small grain fields or those of milo and wheat. Wheat then has a further sub-division between being cut or green (sometimes called winter wheat) fields. A cut winter wheat field is less productive than a green wheat field. Cut wheat fields may be hunted more freely. Green wheat fields may only be hunted when dry or frozen. 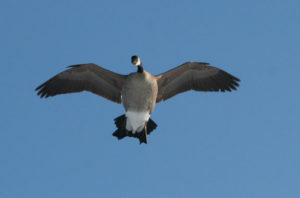 However, when it comes to the better Canada Goose hunting it is the large grain fields that make for the better hunts. These better hunts are a combination of the large grain and more importantly the surrounding water heavy geography. It is this geography that supports water intensive agriculture of the large grains and makes for the many rivers and standing water structures attracting the geese. 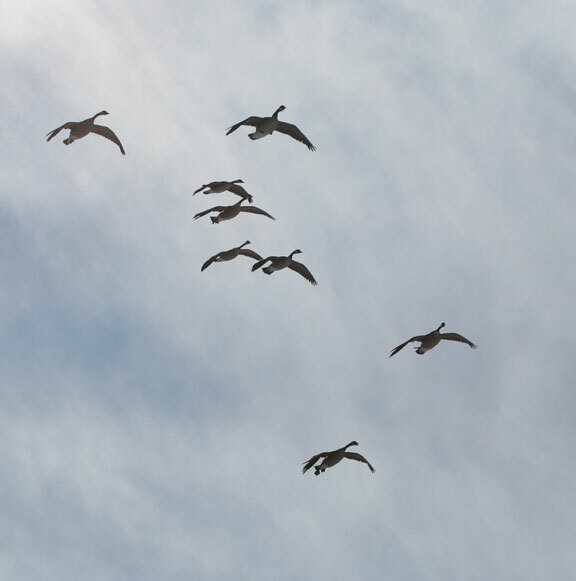 As all waterfowl hunters know it is the combination of food and water that makes not only for the migration flyways but also the better hunt advantage of layovers. Layover it seems is another one of the local waterfowl colloquialism meaning the pause migratory birds execute to wait on flight favorable weather or rest up and feed. From those that travel to waterfowl hunt the experience of layover in Missouri is different than breeding or winter over areas. Better also in terms of hunt quality. When it comes to field acreage size we have fields from 40 acres to several hundred. The size of the crop field is of less value than its location. Location is from the goose perspective of local agriculture separating grain farming from cattle regions, rivers and standing water. Of all our waterfowl hunts Canada Goose hunting is the least pressured. The skill intensity or the art of this hunt limits participation. Spring snow season brings more pressure with hunters drawn by unlimited bags, predictable migration tracking and fast shooting. Wind is easily predicted from the previous nightly weather forecast. Watching jet stream location, lows (counterclockwise flow, highs clockwise flow) typically hold true for the next day. The spread was put out in the early morning dark hours, let in place for a two day weekend hunt. 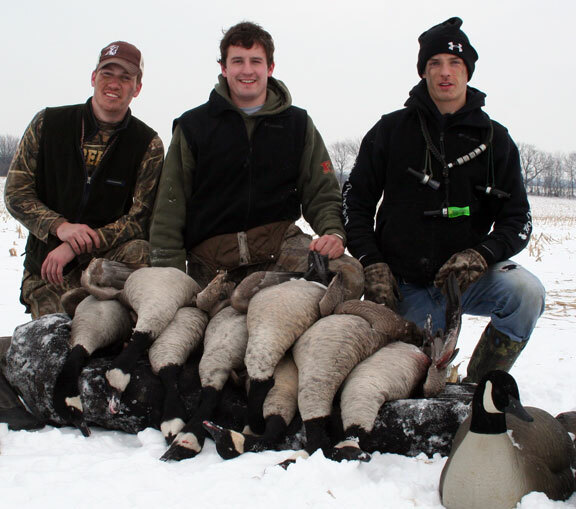 This group reflects the younger age within the waterfowl hunter segment of the Association. The youth aspect all the more valuable considering the workload and typically cold temperatures existent of late season Canada Goose hunting. The regular duck season segment of the Association waterfowl hunter has more gray hair. That leads to this group are work-a-day hunters with limited vacation days spent on other more preferred hunts. Late and spring season hunts are a diversion while waiting for spring turkey season. All of that makes this a more high risk hunt. This is the more high risk type of hunt as no scouting was possible. 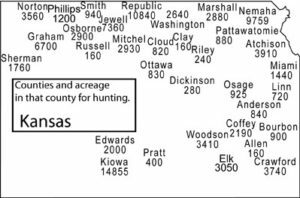 They relied on the Missouri waterfowl reports, picked a field they liked due to position near river and refuge, set up and called. It worked. This was an early Saturday morning rendezvous, get the spread in place before light, work the local geese. They were done on both days before lunch, back home Sunday evening. To make a successful hunt with no scouting on a limited number of days that may or may not be during peak migration shows that hunts for all are possible. Even with that confidence, Canada Goose hunting is more skill intensive than spring snows. The distinction extends beyond that as well amongst the Association waterfowl hunters. Those that can be successful Canada Goose hunting compared to spring snow hunts is equal to the distinction between those that regularly limit drake only greenheads to those that collect ducks. This is not an attempt to be offensive. It reflects the self guided hunter aspect where a hunt by itself no longer becomes the value point. It is the quality of that hunt and the ability to hunt to one’s own level that gains that special satisfaction. That point alone about gaining the tranquility of a good hunt some will never understand. Those the due should consider applying for an Association membership. They will gain that value. A late season tight set up with both the decoys and blinds makes for some close range shooting done properly. Shown are four layout blinds set side by side for the four hunters in this group. Late season and spring snow hunters often team up more so than during regular season duck hunts. Using the buddy hunt list two to eight hunters have teamed up to share equipment, capitalize on more successful callers, place more than one spread as well as share the workload. 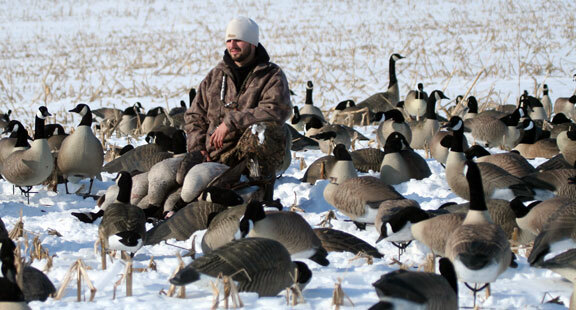 During the late season the most common advice beyond the decoy and call techniques is the ground is frozen prohibiting digging a shallow pit for a blind. Ground thermal insulation gets an additional layering. The choice between what many describe as a coffin blind or a layout blind appears to be entirely personal preference without and discernable effect on the hunt. The buddy hunt list has also been responsible for the transition hunting interest of several less experienced hunters teaming up with those that specialize in a particular hunting interest. The buddy hunt list seems to have the same effect on adults as parents have on youth hunter development. This has been as true amongst the Association waterfowl hunters as those within the deer hunting groups transitioning from modern gun to archery and upland bird hunters that transition from flushing to pointing dogs. From what we have been able to determine from those that made such transitions it was only possible for that changing hunter through teaming up with others more experienced. The Association buddy hunt does just that.